KBI Biopharma offers a broad range of cGMP biologics manufacturing services to biopharmaceutical companies worldwide. Our capabilities include reliable manufacturing for preclinical, clinical and commercial supply. KBI’s experienced team produces high-quality therapeutics and vaccines through processes developed in-house or through processes transferred in from our clients. Our state of the art manufacturing facilities meet global regulatory requirements and employ the latest disposable production technologies, allowing for maximum flexibility and short turn-around times. 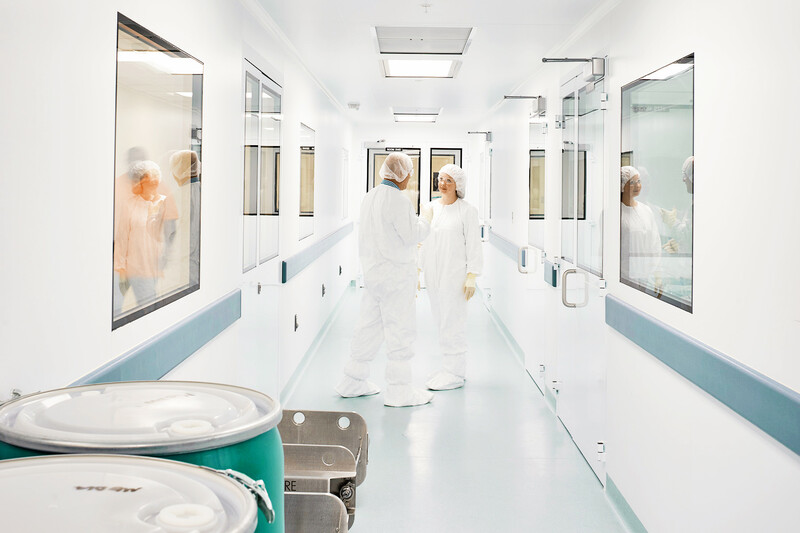 Our cell culture and microbial manufacturing facilities are fully separated including independent utility systems serving only their assigned production areas. 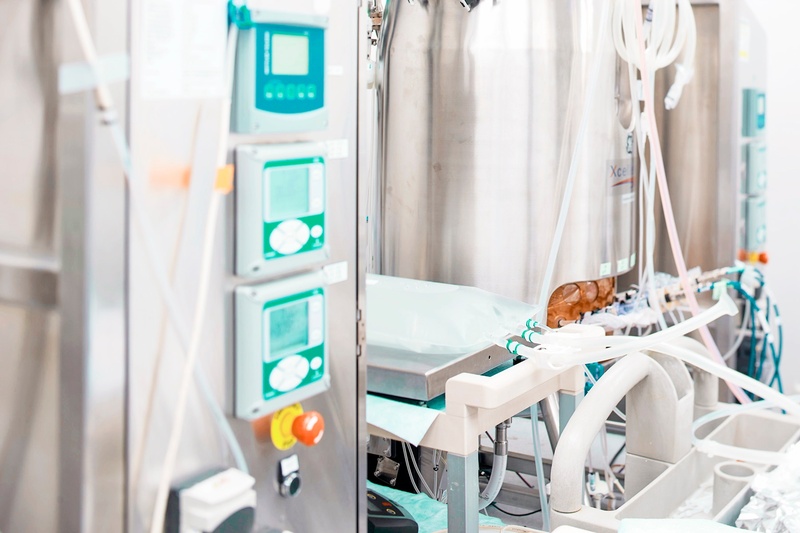 Multiple HVAC zones, unidirectional flow of personnel and materials and strict environmental monitoring schema ensure the highest environmental quality for your process. The following equipment is assigned to GMP service and exceeds the industry expectation for equipment qualification. Disposable technology for buffer preps, product transfer, etc. KBI possesses on-site warehouse capabilities for raw material and consumable storage awaiting use in the GMP manufacturing facility. This system comprises independent Quarantine, Release and Rejected areas. In addition, we maintained qualified cold storage space (2-8°C, -20°C and -80°C) for storage of materials and/or finished bulk drug substance.